Considering its small population, Norway has given the world an extraordinary amount of quality heavy music over the last three decades. 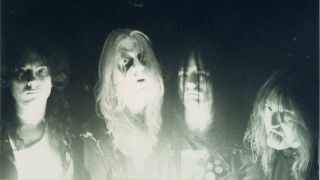 Of course, it probably goes without saying that black metal remains its most famous musical export – in fact, you could probably create ten lists of Norwegian black metal bands alone. But there’s more to the country than just frosty riffs and corpsepaint (although we’re not discounting that either), and here are ten pretty varied bands that have helped put the country on the metal map. While we’re on the subject of black metal we might as well begin with arguably the most famous black metal band of them all. Formed in the mid-80s, Mayhem would do more than any band to help kickstart the worldwide black metal revival in the early ‘90s. Murder and church burnings have of course added to the legend, but behind it all has always been high quality (and often groundbreaking) music. On the subject of groundbreaking music, let’s talk about Ulver, a band that have continuously broken new ground, expanding from their black folk metal beginnings to encompass elements of electronica, classical, prog, psychedelia and much more besides. Consistent through it all has been a combination of forward-thinking composition, technical ability, historical inspiration and rich atmospheric considerations. In The Woods… also came from a folky black/extreme metal background, but soon evolved into a more nuanced proposition, embracing progressive compositions and psychedelic textures to create a dreamy and sometimes melancholy sound. The band disappeared in 2000 after their darkest and most experimental effort, Strange In Stereo, but recently returned after 15 year of silence and are about to drop a triumphant return opus entitled Pure. Along with the aforementioned Mayhem and the one-man project Burzum, Darkthrone helped create the template for much of what we now know as black metal, combining ‘80s inspired riffs with hypnotic repetition and a wintry minimalism. They would reinvent themselves in the mid-00s however and today they remain on strong form with an equally unpolished metal punk assault. Arcturus’ beginnings go way back to the late ‘80s and ever since that time they have repeatedly impressed fans with their ability to combine experimentation and originality with melody, bombast and surprisingly accessible songwriting. Classical inspirations and highly skilled, almost virtuoso, displays on all instruments abound yet never derail the tight songwriting and playful nature of the band. Maintaining a steady output for some 25 years now, Enslaved have never stayed still stylistically, evolving from thrashy black metal to a more epic and progressive metal sound that always retains some of that early bite. Lyrically and conceptually the band is also quintessentially Norwegian, with heavy inspiration taken from traditional Northern spirituality and Viking history. Thematically, Wardruna share much with Enslaved, digging deep into native esotericism and taking much inspiration from the old Norse runes and the impressive landscapes of their homeland. Unlike Enslaved however, they are almost completely removed from the metal genre, instead making use of traditional instrumentation, dark folk overtones and a primal and emotive ceremonial vibe. Another reminder that experimentation and slightly off-the-wall songwriting is alive and well within Norway, Shining are, all things, considered, a pretty unique proposition. Formed as an acoustic jazz quartet, the band have shifted into extreme metal territories in recent years, while nevertheless harnessing elements of jazz, prog, rock and even dance in their dense and manic songs. We can’t finish this top ten without mentioning Emperor, undoubtedly one of the first really successful metal exports from Norway. Their musical journey was dynamic indeed, the band initially playing primitive and evil sounding black metal band before helping popularise the more symphonic, synth-heavy take on the genre. A final foray into more prog territories and the band imploded – though occasional reunion tours still occur, much to the delight of fans.